I really love creating patterns. 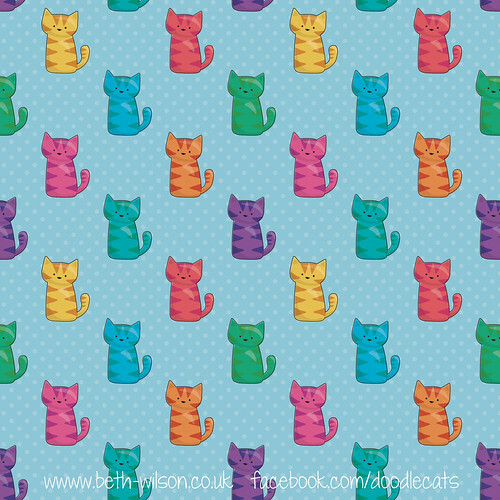 I hope to make wrapping paper one day but it’s a huge investment that might have to wait for a while. Until then I’m going to use the patterns I create on cards, notebooks, journals etc. 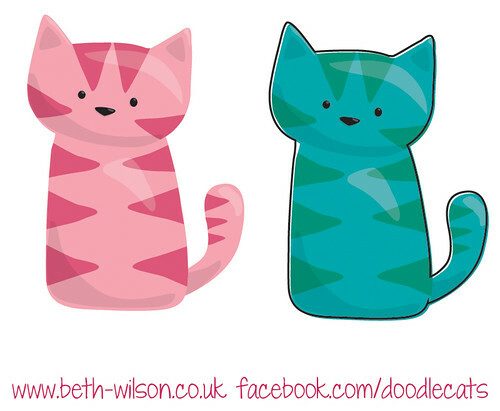 I started off drawing some kitties in Illustrator. I wanted the lines to be finer than in my usual work. Lots of dark lines can make a bright pattern seem darker than I would like it to. I liked it on white but it’s not a practical colour for things that get a lot of use like notebooks as the white starts to look grubby. Plain blue looked nice but I was even happier when I added the subtle spots. Sharon, you took the words out of my mouth – exactly what I was thinking – it would make beautiful fabric, as would a lot of your artwork! Love it! I’d love to work with a fabric company one day. 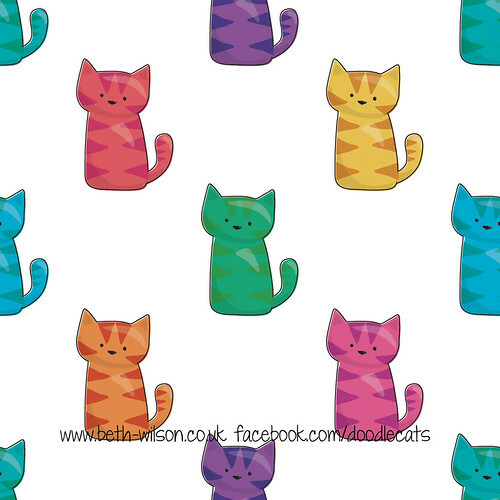 A the moment I’ve only used Spoonflower for fabric which is expensive and far away! Im looking for the cat pillows I saw on Pinterest you make.